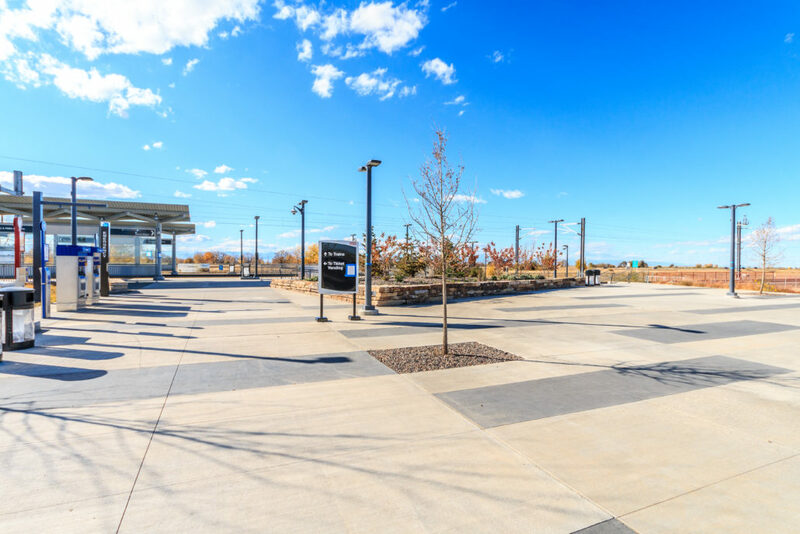 New A Line transit plaza. 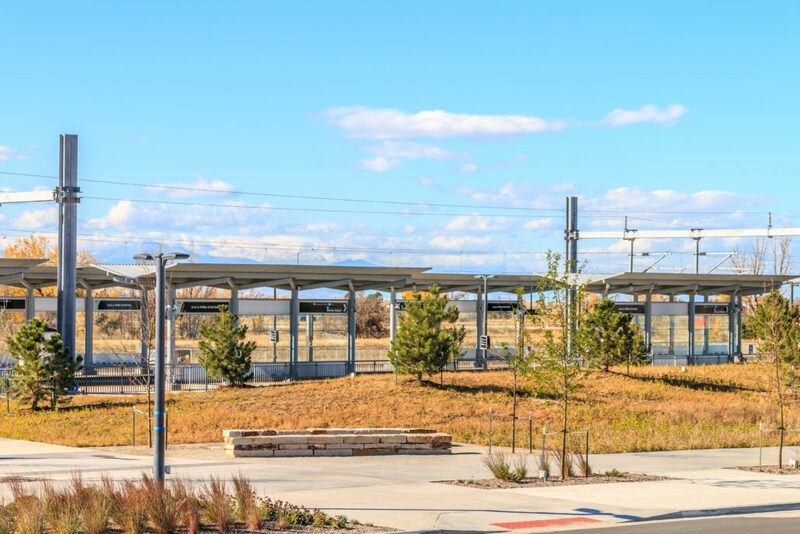 Hensel Phelps Construction Co. was awarded the contract to complete RTD stations along the much anticipated “A” Line, AKA the Train to the Plane. 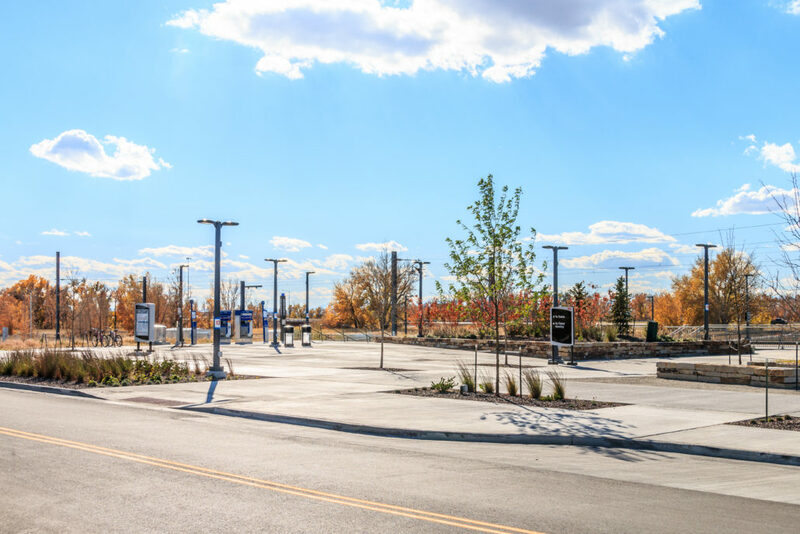 Due to an aggressive completion schedule Hensel Phelps elected to select ECI to turn key the Pena Blvd Station. 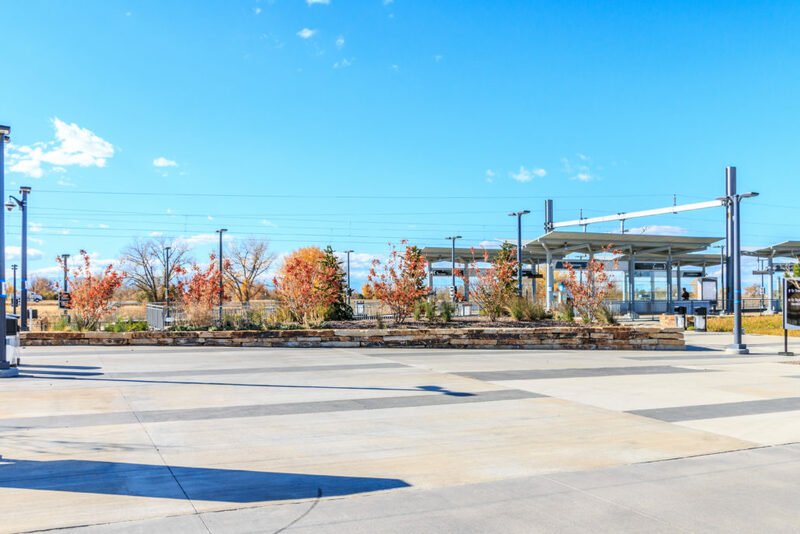 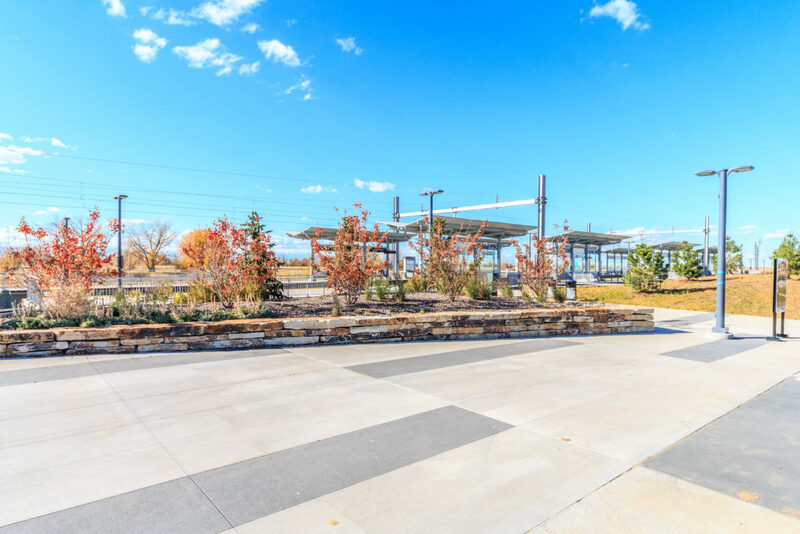 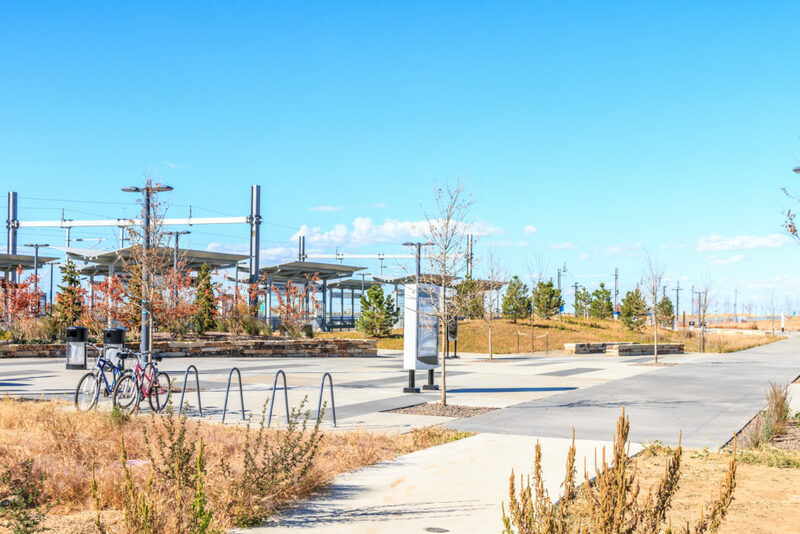 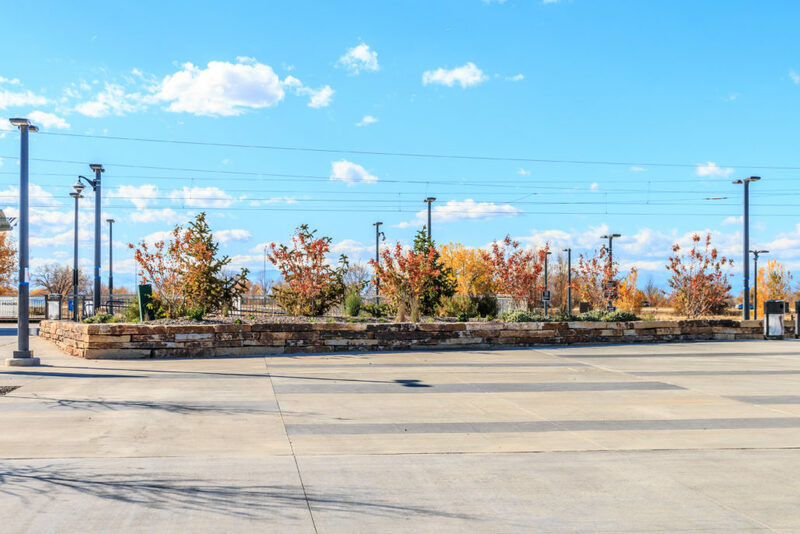 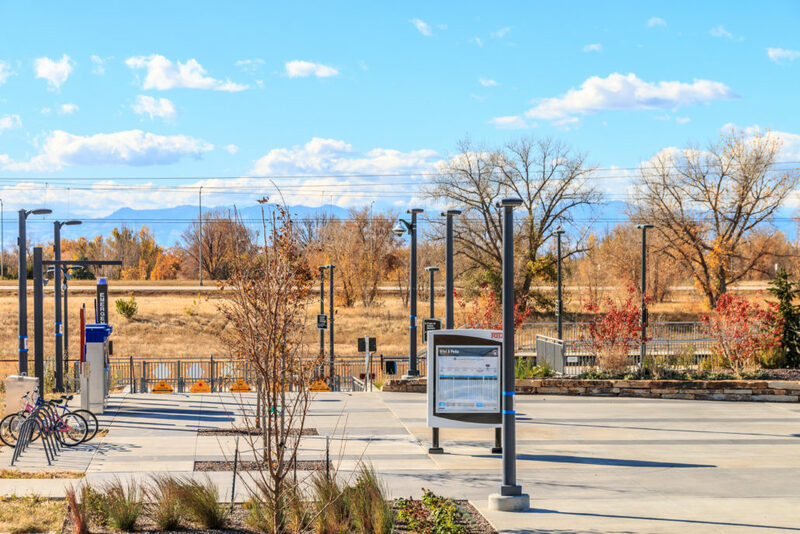 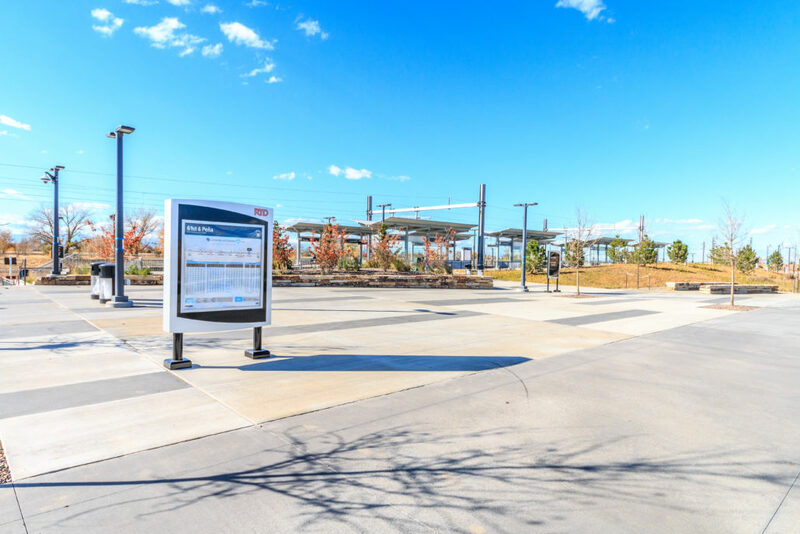 The main portion of the project was the decorative concrete plaza which houses the ticket kiosks, shelters, benches and other site furnishings including trash cans and bike racks. 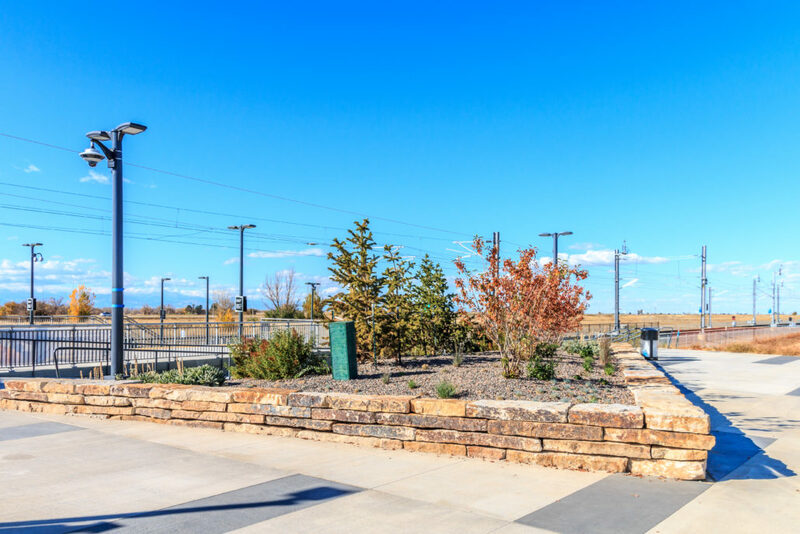 Seat walls and custom handrails were placed throughout the plaza to assist in directing travelers. 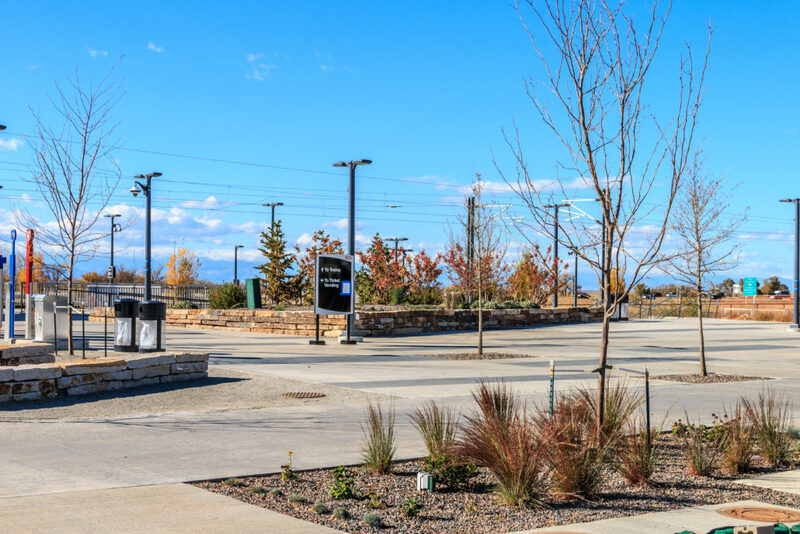 Included in the construction was a new parking lot, site signage, new landscaping and irrigation. 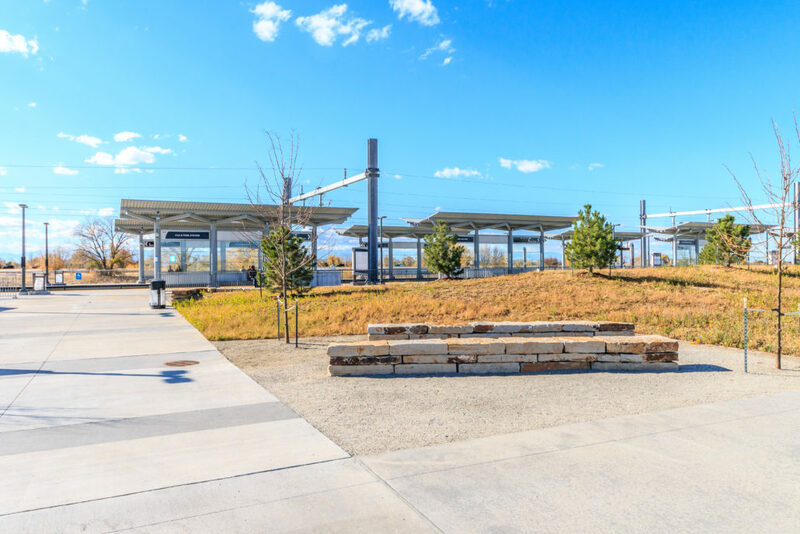 The electrical portion was not included in ECI’s contract, however, work was coordinated along- side the electrical contractor’s work.